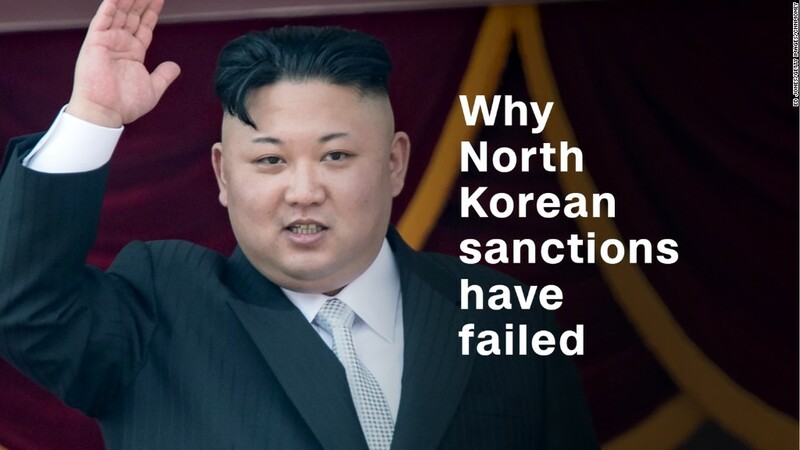 The Trump administration escalated pressure on Kim Jong Un to disband his nuclear weapons program by imposing sanctions on eight North Korean banks and more than two dozen North Korean nationals working in countries like China, Russia and Libya. "We are targeting North Korean banks and financial facilitators acting as representatives for North Korean banks across the globe," Treasury Secretary Steven Mnuchin said in a statement Tuesday. "This further advances our strategy to fully isolate North Korea in order to achieve our broader objectives of a peaceful and denuclearized Korean peninsula." The latest measure of economic warfare comes just days after President Trump signed an executive order giving Mnuchin greater power to slap a range of sanctions aimed at curbing North Korea's nuclear efforts. The North Korean regime is believed to use a complex network of front companies to do business in China and other countries in order to dodge sanctions. Trump's latest orders put the onus on banks and other firms to find out whether their clients have any dealings with North Korea. Last week's executive order will penalize any company or person doing business with North Korea by either cutting off their access to the U.S. financial system or freezing their assets -- or potentially both. On Tuesday, the administration designated eight North Korean banks, including Agricultural Development Bank, Cheil Credit Bank and International Industrial Bank. The administration also took the additional step of designating 26 people linked to North Korea's financial network. The Treasury Department said they are North Koreans acting as representatives of North Korean banks in China, Russia, Libya and the United Arab Emirates. Trump has been pushing China to use its deep economic ties with North Korea to pressure the country's young leader to back down from developing nuclear weapons. China is estimated to account for roughly 90% of North Korea's foreign trade, with money and goods flowing back and forth across a land border that runs for 880 miles. Even though China has supported a series of tough U.N. resolutions targeting North Korea's economy, many experts are skeptical that Chinese officials and companies are fully complying with the sanctions. And it's uncertain how Chinese banks will respond to the latest round of sanctions by both the U.N. and the U.S. Earlier this month, China ordered its financial institutions to take a number of steps to comply with U.N. resolutions, including halting business with sanctioned individuals and companies. Employees at some major Chinese banks told CNNMoney that they were no longer opening new accounts for any North Koreans.